Trévo believers have an entrepreneurial spirit. They are energetic movers and shakers who get things done. 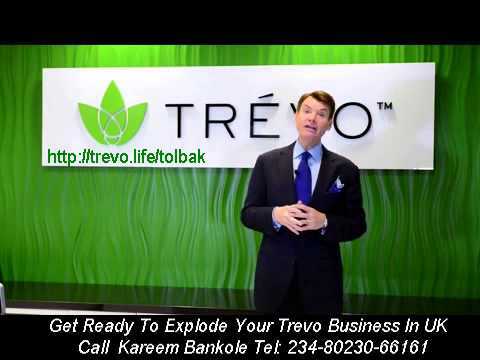 Trévo believers embrace personal growth and want to make a difference in the world. They see the unlimited possibilities available through the Trévo opportunity. Trévo believers consistently embrace the development of their character and talents. It starts on the inside and manifests on the outside with positive action. These unstoppable entrepreneurs understand that as they fill their minds with the proper thoughts and truths for attaining their goals they become equipped to empower their dreams and beliefs. Indeed, by applying truths and principles in difficult situations, we can prove our beliefs and reinforce a new attitude of viewing difficulties as stepping stones to the fulfillment of our dreams. This attitude of being open to new things and new experiences helps us to become more – more than we currently believe possible and more than others believe possible. Through teamwork, believers create a sense of belonging; a sense of being a part of something bigger than themselves. Unbelievers are satisfied with settling for the status quo. Oftentimes, their dreams were set aside long ago and they just cannot wrap their minds around the possibility of having a more abundant life. Unbelievers cannot see the big picture and quite possibly never will. Or perhaps because the timing is just not right for them, they are not open to the message you have to share. We encourage our Life and Health Coaches to treat these people with respect and love. You will find that they can be a valuable resource in identifying and connecting with those who are open and receptive to what you have to say, so always ask them for referrals. And because of your passion and compassion, those who were previously unbelievers will often reach out to you when their circumstances change.